Want to save some money on your budget for lifeguard swimsuits? Choose the clearance Men's Lifeguard Pro Short in Purple. This lifeguard short still offers the same premium construction as the 916 short, but comes at a discounted price. Our men's uniform shorts have set the industry standard for quality, comfort, and durability. Proudly Made in the USA by Water Safety Products Inc. under strict quality control standards since 1989. 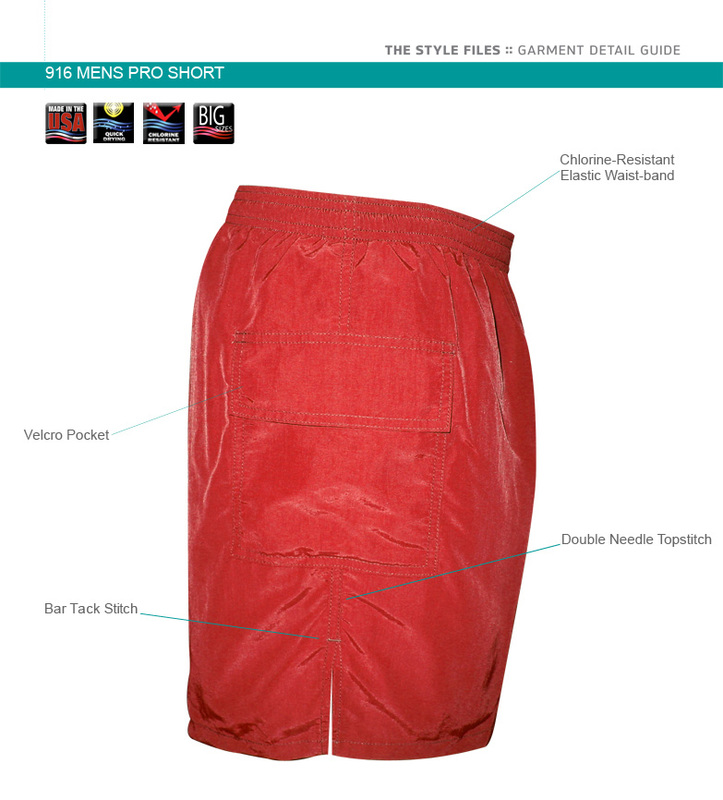 Lifeguard shorts are constructed of durable 4-oz. 3-ply breathable nylon with Teflon® finish for quick drying and oil/chemical repellency. Supersoft polyester micromesh liner. Mock fly front; elastic waistband allows for a wider range of fit.